Materials: Black metal (iron and aluminium) ceiling piece. Opaque/white hand blown glass. Bakelite socket. Any type of light bulb with an E27 screw base can be used. Preferably a white/opaque or frosted bulb. Other versions: Different glass forms. It was also used for pendant lamps and pendant chandeliers. 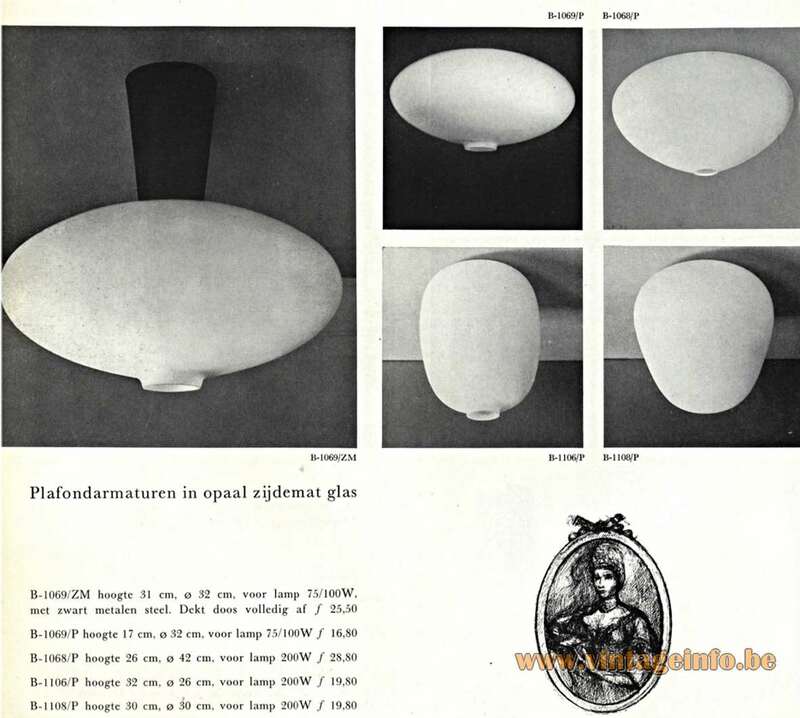 The glass for this lamp was in all probability produced by Peil + Putzler or Bega. Both are glass/lamp producers from Germany. Both companies produced glass parts for Raak. Raak had no furnace. 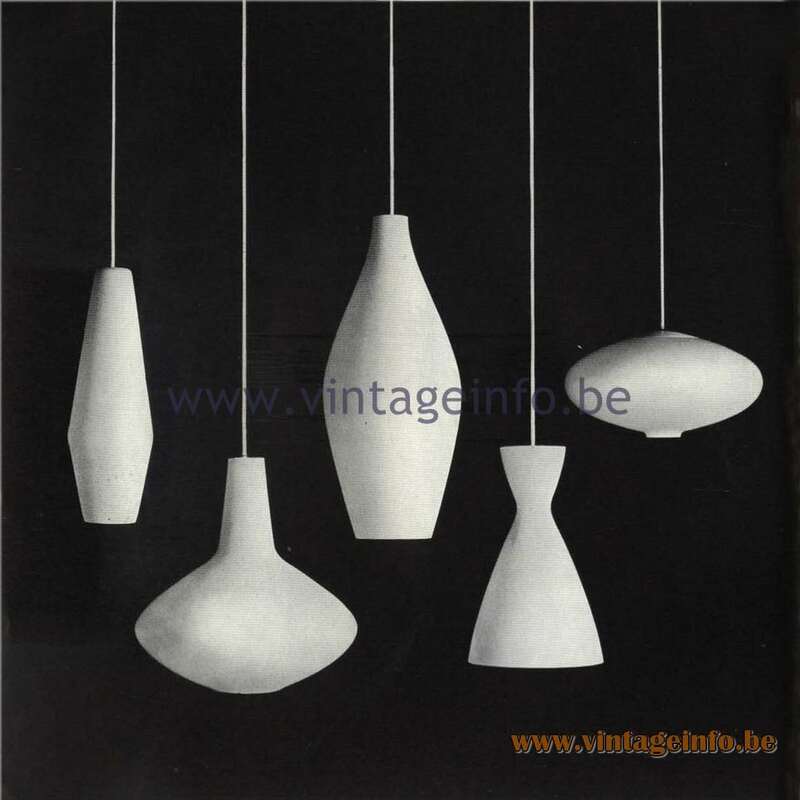 Plafondarmaturen in opaal zijdemat glas. 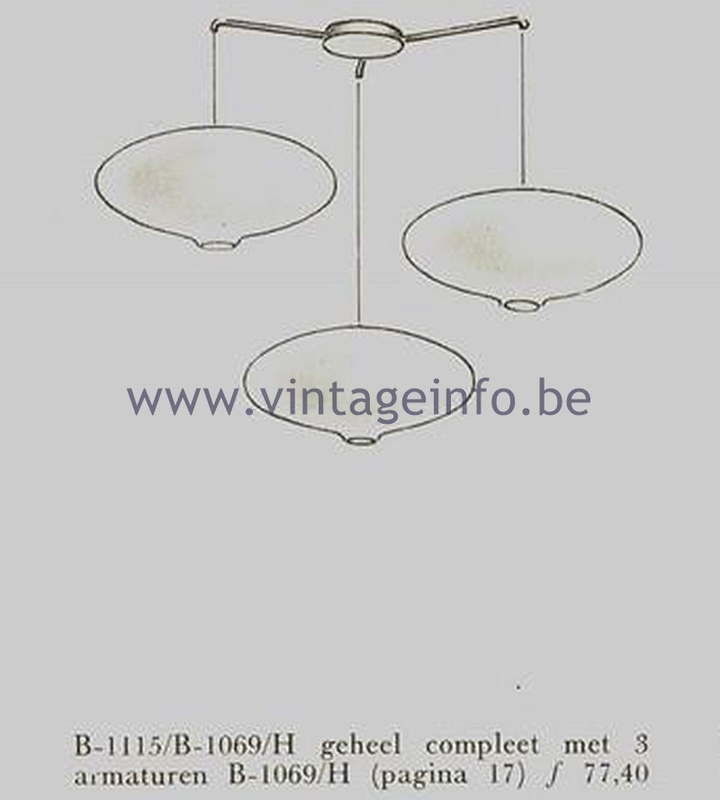 The chandelier with 3 glass parts on the left was priced 77 guilders. Some 39 euro.